Captain Ransome is being berated for questioning orders and being told by his superior, General Cameron that he does not need to know anything but just to do what he is told. He accepts this order and positions his men with their artillery in a particular spot in the field that is strategically positioned to catch an incoming army off guard. They have been largely abandoned to hold this position at any cost and await the arrival of the enemy. Later, General Cameron is talking with another general, General Masterson, who informs him that another squadron of soldiers would be looping back and meeting the up with Ransome's soldiers. Ransome hasn't been told of this and they would be coming from the Confederate army's general direction. As the generals realize this, they hear the start of firing. Ransome fires upon what he believes is the enemy ceaselessly, even when a lieutenant attempts to explain who the "enemy" is. When Ransome does not hear any return fire, he commands the his soldiers to stop firing. General Masterson arrives and confronts Ransome asking him what he thought he was doing and Ransome says he was just following orders--not asking about them. When asked what his orders were, he says that Cameron commanded him, but Cameron had died in the volley and cannot answer for Ransome's actions. Ransome reflects upon what it will be like to be executed as he surrenders his sword. 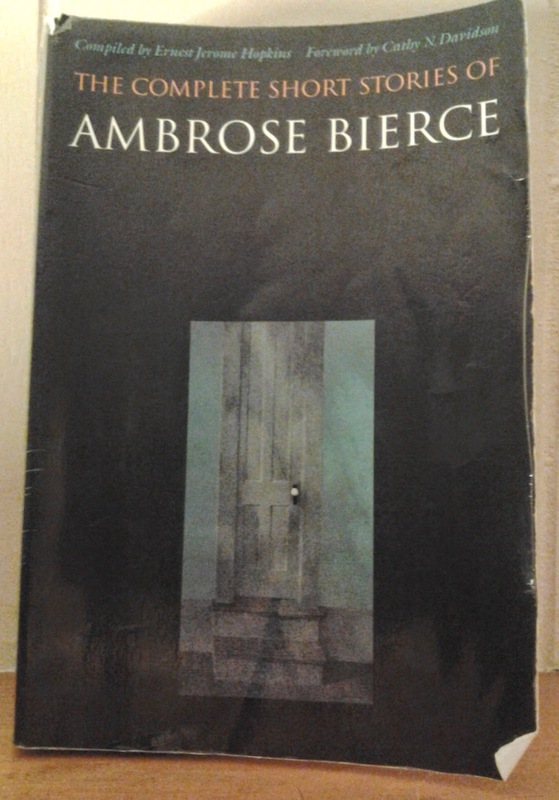 It's another dark and brooding tale of war from Bierce. Herein, he mixes the literal fog of war (part of the challenge is that fog permeates the battlefield) with the metaphorical fog of war, wherein it grows increasingly chaotic and challenging while in the heat of battle. Coupled with this, he offers a critique of little minds with much power. That Cameron demands "blind" obedience is exactly what he gets which in the end costs him his life, the life of Captain Ransome, and many soldiers on the side of the Federal army.